Avengers: Endgame is set to serve as the culmination of the MCU in its current iteration. Endgame is set to drop major surprises throughout its reported three-hour runtime. Will we see Kronos in Avengers: Endgame? 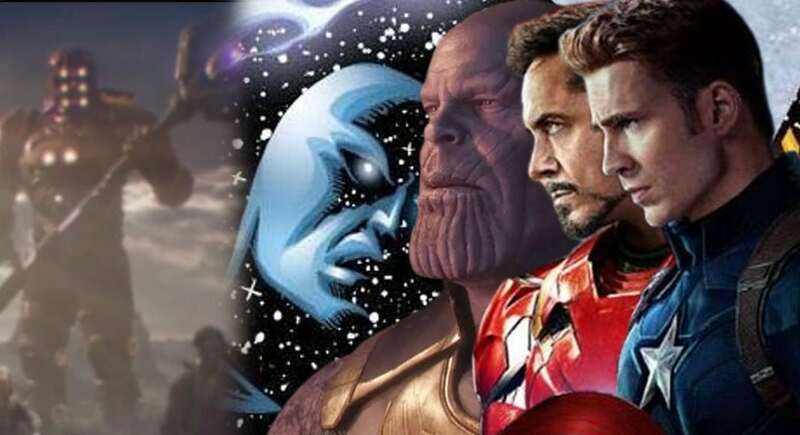 While the film will focus mostly on the Avengers taking out Thanos, there have been speculations that a larger threat would come in at some point. From The Living Tribunal to Galactus, there are no fewer theories in who that threat could be. However, one recent theory says that Avengers will have to take on the master of time: Kronos. According to the theory, there are three parts to it. The fact that the Endgame logo could hint towards the character. Secondly, there are rumours that a new Jim Starlin character may show up. Rumours also claim that Doctor Strange filmed scenes with a computer-generated character. AVENGERS WILL WORK ALONGSIDE KRONOS? The theory says that the Avengers will have to work with Kronos to reverse time to undo the Snap. In return, Kronos will break out of his Quantum Realm hungry for revenge on the people that put him there, whoever that might be. While the theory mentions the translucency of the Endgame logo, it seems like a cherry-on-top scenario for the theorist. Jim Starlin, creator of Thanos and Kronos. With the logo theory out of the way, the theory now seems depended on the fact that comic creator Jim Starlin hinted that he’d like to bring more characters in Avengers: Endgame. Although he has explained it all as a joke ever since, Starlin has mentioned that he would end up with more credits in Avengers: Endgame. Fans recognise Starlin as the creator of cosmic Marvel beings like Drax, Thanos and Gamora. The last part of the theory brings forward the rumours of Strange filming scenes on the soundstage with a character who’s computer generated. Although Kronos is a bodyless entity in the comics, the cosmic being takes the human form in the comics. Doctor Strange is one of the most knowledgeable heroes in the MCU and if anyone is to take on Kronos, it’d be Strange himself. As the theory goes, Kronos was locked away in the Quantum Realm for some reason. It’s possible that between the events of Ant-Man 2 and Avengers: Endgame, Scott Lang could have come across the Eternal in the dimension. After Lang leaves the Quantum Realm, he could inform other Avengers of the character’s existence. For fans who don’t know, Kronos is the grandfather of Thanos. He’s the member of the humanoid race The Eternals. With Marvel developing a film on Eternals next year, Endgame would be the best time to begin introducing the members.